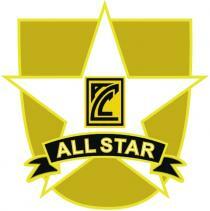 Students can check their All Star Letters status on the All Time All Star list. Download and open the PDF file and do a search for your name (click the search icon or press Ctrl + f). The file will display each student that has been selected in an Honorary or Representative All Star Team. The sport, student name, school, year selected and number of selections will be displayed. If you have achieved selection in the same sport for the required number of years then you will be eligible to receive your ACC Letters. Letters awards in athletics, cross country and swimming commenced in 2013. Basketball, cricket and netball commenced in 2018. The number of years does not have to be consecutive, but the years are not cumulative across sports. 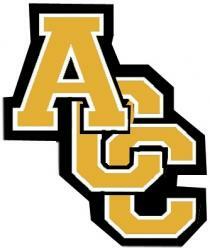 Only students currently enrolled in an ACC school are eligible to receive All Star Letters. Students that graduated before 2013 are not eligible to receive ALL Star Letters. Students that are awarded All Star Letters will be presented with a framed "ACC Letter" as a memento of their outstanding achievement and will also become members of the exclusive ACC Lettermen Club. The "Letter" is a stylized chenille embroidered patch in a collegiate letterman jacket style. The letter is framed in a shadow box which includes a plate with the name and achievement listed. Sport pins are added to the box to designate the sport. Students only ever receive one framed Letter and if they achieve the feat of multiple sport letters they will only receive an updated name/achievement plate and additional sport pin to be added to the box.